It was really difficult to choose the recipes I will share with my guesses for this amazing dinner party. I love tomatoes and I cook them in so many different ways… all so yummy. These are some of my favorite recipes, new ones I have developed here in Canada as well as my family’s recipe: “les tomates farcies”. A must! 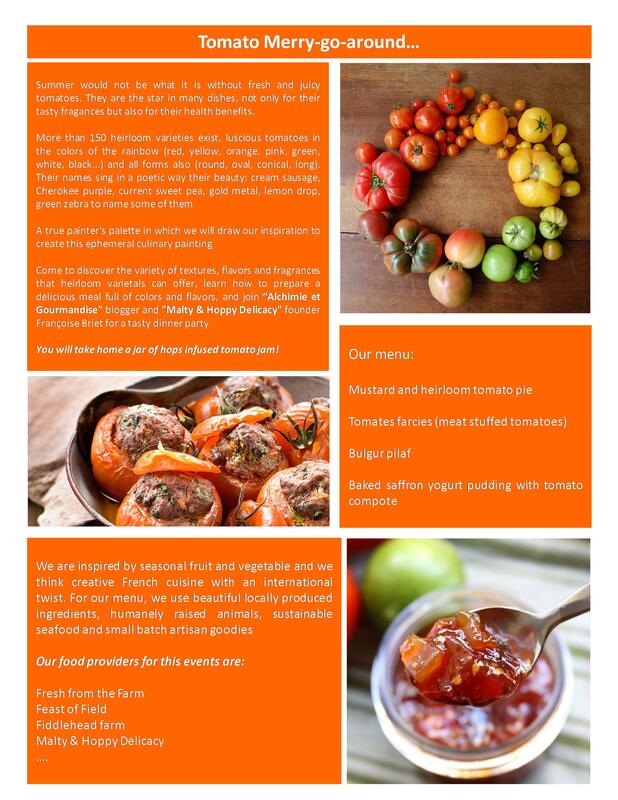 Join us in September to enjoy a dinner all focusing on tomatoes … savory and sweet … there is no limit!